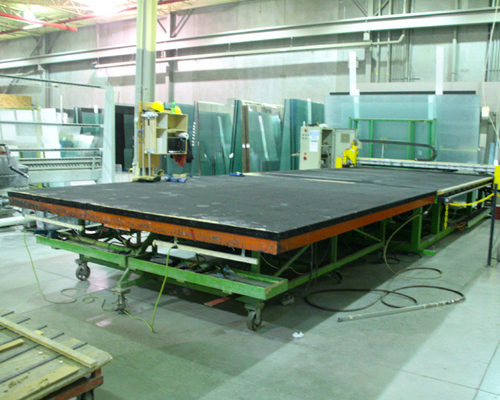 Our cutting line allows for high production cutting of glass or mirror with precision in a timely manner. European software is utilized to reduce waste and obtain maximum yield out of a glass stock sheet. Thus keeping material waste down and allows the cost savings to be passed on to the customer.